Evan Kovacs has been working in the marine environment for nearly two decades as a diver, boat captain, director of photographer and camera engineer. He has been involved in numerous expeditions utilizing remotely operated vehicles (“ROVs”) and submersibles to survey and film everything from the R.M.S. Titanic to deep sea hydrothermal vents. Evan not only builds camera and lighting systems for these jobs, he is one of the few professional cinematographers qualified to use these systems at depths to 500 feet (152 meters) using scuba equipment and 14,750 feet (4,500 meters) using manned submersibles and ROVs. His underwater and topside work can be seen on National Geographic, History Channel, Discovery Channel, PBS (Emmy nominated for videography in 2009), CBC, NHK and elsewhere. Evan works with the Advanced Imaging and Visualization Lab (“AIVL”) at Woods Hole Oceanographic Institution (“WHOI”) and has filmed with the deep submersible Alvin, Pisces submersibles and numerous ROVs around the world. He is currently working with the AIVL to develop the next generation of 3D and 2D cameras and shooting techniques for topside and underwater imaging. 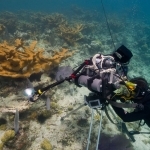 During the past 10 years, Evan has helped build and operate numerous imaging systems to film both above and below the water for broadcast television, museums, archaeologists and institutions across the world. 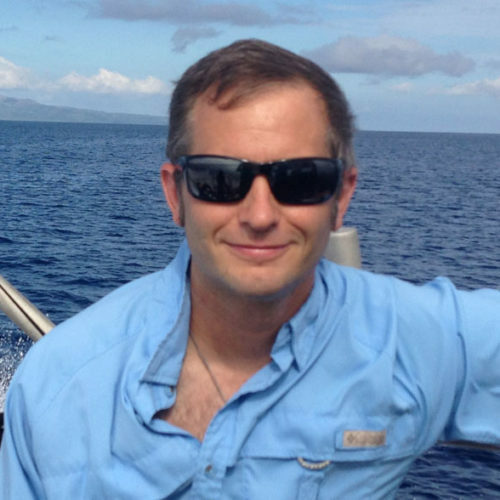 Evan has been diving for over 18 years and technical diving for more than 15. During that time, he has had the opportunity to dive and film wrecks, caves and archaeological sites across the US, along the islands of the South Pacific, the English Channel, the jungles of Mexico and the Dominican Republic, the D-Day beaches of Normandy, the Mediterranean, Thailand and other locations. Evan was fortunate enough to be one of the few people to film both the R.M.S. Titanic and her sister ship, H.M.H.S. Britannic, in 3D for theatrical release.